Peter (Daalmans Consulting) has a Novell background, but since 2005 he mainly dealt with the implementation of Microsoft solutions and technologies. The projects were concentrated on the migration of large and complex IT infrastructures to the latest versions of both desktop and server software. The integration of Novell and Microsoft as well as migration and the implementation of automatic deployment systems for workplaces, servers and applications, has resulted in knowledge and experience with a wide range of products. Peter’s current main focus points are enterprise client management, including mobility, and messaging which he implemented at diverse local and international enterprise environments. Peter is characterized by his responsible attitude. In addition to that he remains calm if complex problems occur and he uses his analytical capacity to tackle the problems and issues at hand. Migrations are in the traditional environments still necessary and can be considered as problematic. Because of the years of migration experience Daalmans Consulting is able to help you simplify the approach and smoothen the migration process as much as possible. Embracing the cloud by companies can come with challenges and it can change the life of an IT-Professional due to the continuous changes and new features in Microsoft Intune, Office 365 (Microsoft 365), Windows 10 and System Center Configuration Manager. 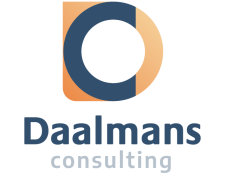 Daalmans Consulting can help you to cope with the changes and allow you to get a clear view on what’s new. This can also be done via coaching and periodic update sessions where we will cover all the new highlights.